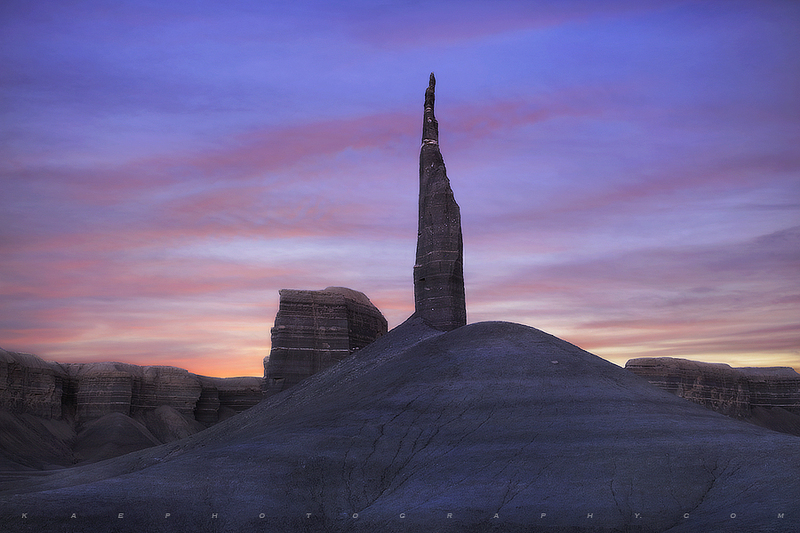 A lone Desert Spire towers above its Colorado Plateau surroundings. . Photo © copyright by Kane Engelbert.